You have the opportunity to assist in the selection of the Teacher of the Year at Abilene Christian School. Nominations will be accepted from parents, students, teachers, staff, administrators and members of the Board of Trustees. A committee comprised of school administrators, Phyllis Gilbreth, and the previous year’s recipient will choose a winner from the submitted nominations. The award winner will be announced at the Faculty/Staff Dinner in May and automatically be nominated to the state-wide Texas Christian Schools Association’s teacher awards program. Nominee must not have received this award the preceding year nor more than twice in five years. Winner receives a plaque and $500 stipend. Nominations for the 2019 Teacher of the Year will open on Friday, March 29. 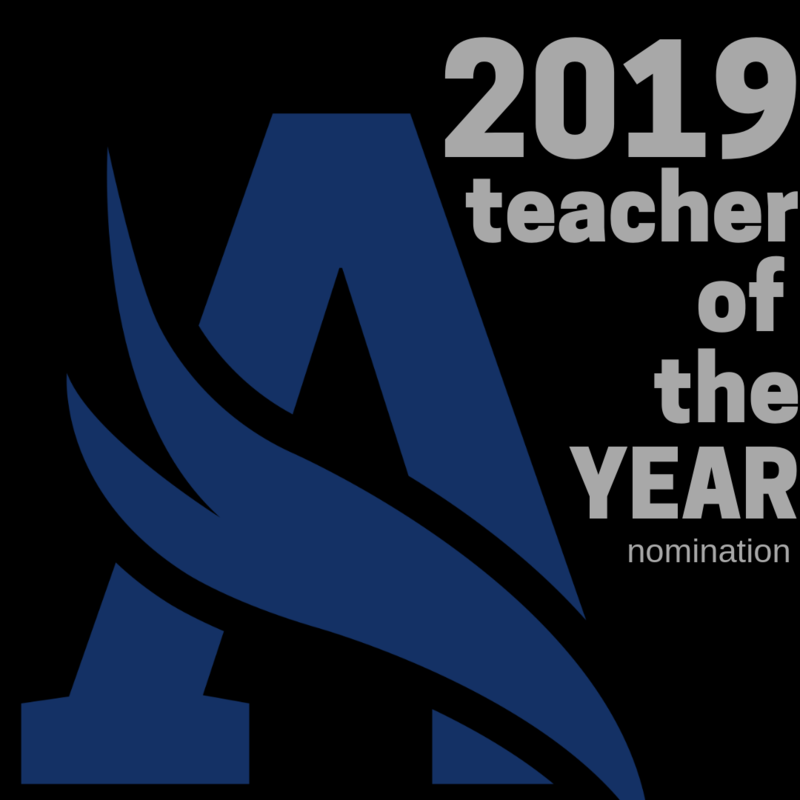 The 2019 Teacher of the Year winner will be announced on Thursday, May 2 at the faculty/staff appreciation dinner.